Home > Politics > Wish to donate money, but not sure if it will reach the right person? Wish to donate money, but not sure if it will reach the right person? Soon, this will change, thanks to Nandan Nilekani. Let’s say you want to reach Rs.500 to someone living in a village somewhere. Can you? You can send a cheque, via India Post. The recipient can then en-cash it. You can send the money through ‘someone’ else: an NGO, a common friend or a fellow villager. 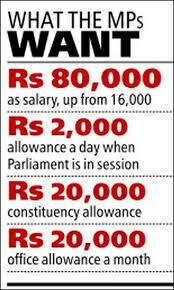 Let’s say the government decides to reach Rs.500 each to many people in the same village. The Government can take the cheque route, but unfortunately 95 out of 100 villagers don’t have a bank account. The money order route is certainly available, but is not efficient. Also, money orders sent at such a large scale can turn an honest postman into a corrupt middle-man. The best way, and the one preferred by the recipients, would be someone handing them cash. An NGO. Or a government official. Or some place they can visit, sign a document and get the cash. I’m sure you may have already sensed the difficulty of the task. You’d have instinctively noticed the opportunity such transaction creates for middlemen – how easily he pocket some, or most, of the money. In 1985, Rajeev Gandhi (then Prime Minister of India) made a statement that has now become part of bureaucratic folklore: ‘Only 15% of the money actually reaches the beneficiary,’ he had said. I discovered that the figure now touted is 25%. Over the past 25 years, we’ve improved our efficiency by 10%, or about 1% for every 2 ½ years. If we continue at this rate, we’ll perhaps manage to reach 100% of the intended money to recipients in about 185 years from now! Thank fully, this would not be the case. In fact, in about 7 years, we will be able to reach nearly 100% of the intended money to anyone in India. I’d like to briefly tell you how this will happen. And why this project’s success holds greatest hope for India’s transformation, including an opportunity for us to almost eradicate poverty in the next 20 to 30 years. The project is called ‘Adhaar’, which means ‘foundation’. Adhaar aims to give a Unique Identification number to every single Indian citizen. Using Adhaar, a citizen will be able to open a bank account, receive funds in his account and buy rations that can be both authorized and tracked. He will also be able to use Adhaar as his identification for myriad transactions where ID and address proof is required: passport, buying phone, and buying, selling and registering property. 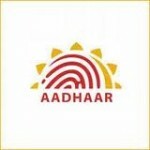 Adhaar will eliminate fund ‘leakages’. Completely. It will also make life of our rural brethrens simpler. For example, if government decides to reach Rs.1000 every month to Ram Vichare and his family, who lives in small village called Kharda, situated about 45 km south of Nagpur, it can. Thanks to Adhaar, the money will transferred into his Bank account without much fuss. If the same Ram Vichare is employed by the government under National Rural Employment Guarantee Scheme and earns Rs.80 a day for 20 days of work, he just needs to establish his identity to the contractor through Adhaar, and funds will reach his account automatically. More than the idea itself, what stands out is the duration within which this feat is being accomplished – in less than 7 years, starting from scratch. How can anyone deliver something as far reaching as this in such a short time? Why can’t we solve more problems that confront us in similar fashion? Step 1: There is a problem, which we have tried to solve for years now, without much success. Step 2: Someone in the Government says: “Hey, let’s solve this in definite time frame, come what may.” There is a will to solve the problem. Step 3: Allocate sufficient funds for the project. Step 4: Create a powerful organization outside the realm of standard bureaucracy. The power to this organization actually comes from two sources: it reports to the PMO, and the person heading it is conferred status equal to a cabinet minister. 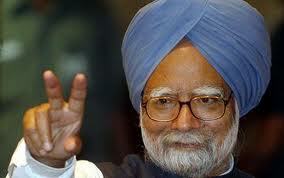 (Our constitution confers such flexibility to our Prime Ministers). Step 5: Pick best professional in the country to manage, someone who may bring a mix of following: expertise in the subject, execution experience and unparalleled integrity. 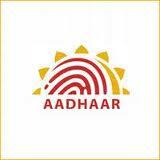 In case of Adhaar, the person chosen to lead the project is co-founder and former CEO of Infosys, Mr. Nandan Nilekani. (Actually, Adhaar was Mr. Nilekani’s idea which he outlined in his recently published book Imagining India. Our PM demonstrated great deal of grit to invite Mr. Nilekani himself to execute it). Mr. Nilekani joined UIDAI in June last year. This month, UIDAI will be issuing its first set of Adhaar numbers. In the next three years, it expects to issue it to half our population – 600 million. In less than seven years, every single Indian will have one. Wow! Here’s a formula that works. I think the same formula can be applied to several other key problems India faces. We can solve each of these problems over next 10 to 15 years. Drinking water for every household. Open the tap, presto, you have running water! It’s still a dream for 2/3rd of our population. 24-hours electricity for everyone. The equation here is actually simple: we only have to estimate the requirement in 2025, and work towards creating sufficient capacity to meet that demand. Two competent teachers, clean toilet and student midday meal for every primary school in India. Today, we aren’t even at a quarter way mark on these fronts. Better than basic, affordable medical care for everyone, no matter where we live. Surprisingly, all we need to achieve this goal is to double the number of doctors we produce every year – from about 30,000 to 60,000. And add a couple of thousand 100-bed hospitals with state-of-the-art facilities. Reduce pollution across the board. Water (rivers and lakes), plastic and filth management are the key here. Create sufficient and hygienic storage for grain we procure. We are experiencing shortage of food availability because we let a lot of grain rot as couldn’t store it properly. In fact, we allow a lot grain rot due to poor quality storage. As you would notice, none of these hold the kind of challenge UIDIA held. We’ve already made a great deal of progress across all these. All we need is do is apply the above ‘formula’. We have at the helm of government someone whose competence and integrity is perhaps unmatched in politics today. 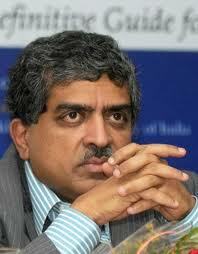 We have sufficient people in India who match Nandan Nilekani’s profile: expertise, integrity and leadership skills. We now have no excuse: Adhaar is a case study we can both look up to and learn from. If you notice, none of the problems we face are as daunting as they are made out to be by our political leaders. That’s because our political leaders behave much like ‘Consultants’. A consultant rarely solves the problem himself. He identifies the problem, makes it appear far more difficult than it actually is, ‘advises’ us how to solve it, and then bills us for his time. Previous Post We love honking, don’t we? Next Post Ab Dilli Door Nahin! I agree with the views shared by all of you. Their is distressing despair, but we can’t lose hope. It is the private enterprise that has made this world what it is today. Probably one sane decision by the PM. Hope the system will let it be & blossom. Hope Mr. Nilekani can make a successful enterprise out of this initiative just like Infosis. All our best wishes to him. Thanks Pabitra for writing in! 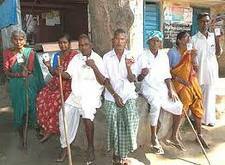 I hope like hell this works for India – it’s perhaps the last hope the poor in India have. Optimism is the only way we can ever hope to do something that may amount to anything. I love you optimism. It actually makes two of us! Like you, my hope too rests completely on keeping this outside bureaucracy or government. Else, it will die like any other such enterprises attempted in the past. Let’s hope the poor in India finally get something in hand. And for a change, it’s not Nectar in a Sieve (to use the title of book we read during our first year of graduation). I started my career in the early 1980s with what was deemed to be an NGO. We raised funds – for a fee – which other, larger NGOs used for their projects like schools, equipment, etc. I was young, naive and energetic (read: much more optimistic) then – until I found out what we spent on ourselves. To Raj’s point – only about 20% of the funds we generated went to the project owning NGO – which also had to maintain itself… meticulous accounts were kept and every expense was recorded incase anyone asked. I did and my optimism totally faded, no, it died. Not sure if the Unique ID system help with the solution – or a step in the right direction…yet. However, I do have faith in private enterprise. As long as the bureaucracy & the political system is kept away from this project, it should work…else it will become another avenue to encourage corruption. The poor, of course have no hope in hell, anyway! Trying hard to be optimistic ! don’t know about the book, but did look this up online a few months back. could hardly find anything! but two points… those figures sound very strange. 15%, 25%. we always get nice round figures from our journalists and commentators. which probably means these are wild guesses, and we don’t know where we are. so the government is now going to spend a few arab rupees based on haunches. second, if we want accountability, we can get it right here, right now with surveys. a census is not necessary. surely our bureaucrats, many of whom were brilliant students, know how to measure the effectiveness of various schemes. they probably have huge tomes in each plan explaining how its effectiveness and efficiency will be gauged. but is any data collected? are results judged? in fact, i remember your telling me some years ago that most PSUs never even have audits. one more thing. we have voter registration cards and electronic voting machines; and we also have the most corrupt politics between heaven and hell. how? because even if every vote was casted without fear and counted with complete honesty, we can throw the results out of the window via post-election ‘adjustments’. we can screw anything anyone throws at us.